Cranberries are one of the most important elements from Thanksgiving dinner but they have many nutritional qualities that prove their importance far more. Cranberries are very low in calories. They are rich source of Vitamin C and fiber. They are very high in antioxidant power, most of which comes from phytochemicals. 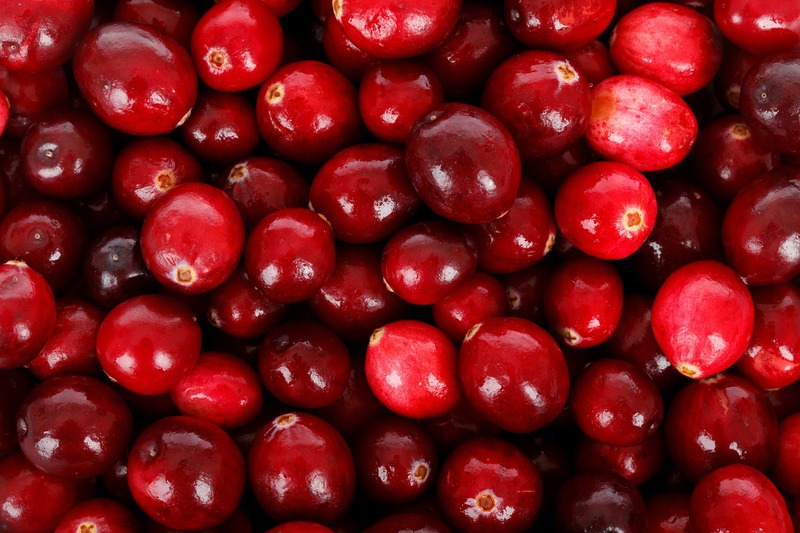 Cranberries also contain bioflavonoids, which are thought to protect eyesight and help prevent cancer. Cranberry juice is always recommended to individuals with urinary tract infections along with prescribed antibiotic. Studies have shown that cranberries contain a natural antibiotic substance that makes the bladder walls hostile for the organisms causing urinary tract infections. Hence, they are washed out of body in the urine. Cranberry juice contains quinic acid, an element that increases urine acidity preventing the formation of calcium stones. Thus, Cranberry juice has always been used as home remedy for Cystitis (inflammation of the bladder) and to prevent kidney and bladder stones. We are concerned about raw cranberries and real cranberry juice. The grocery store cranberries are sweetened with lots of sugar and so does the cranberry juice contains added ingredients. To keep it simple try to use raw fresh cranberries in salads or smoothies for little tartness. For juice try to buy organic and fresh squeezed or concentrate and dilute it with apple juice or water to make it perfect for your taste. According to Dr. Ann Louise Gittleman, who is well known nutritionist and author of renowned books like “Fat Flush plan” and “Fat Flush for Life”, their signature cran-water (1oz 100% unsweetened cranberry juice + 7oz water) is extremely important in their weight loss plan and have lots of other advantages apart from flushing fat. Reference: The 150 Healthiest Foods on Earth by author Johny Bowden.